The third of the five Jubilee Class ships for the Australian service, Persic was launched at Harland & Wolf, Belfast, in 1899. 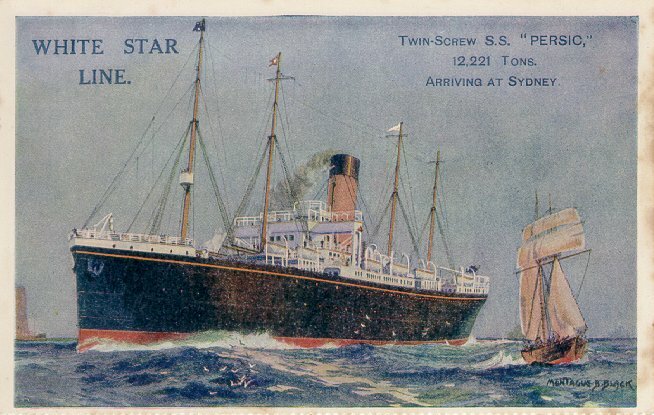 Her 7 December 1899 maiden voyage from Liverpool to Sydney was notable for two reasons. The first is that the entire voyage was greatly influenced by the Boer War. 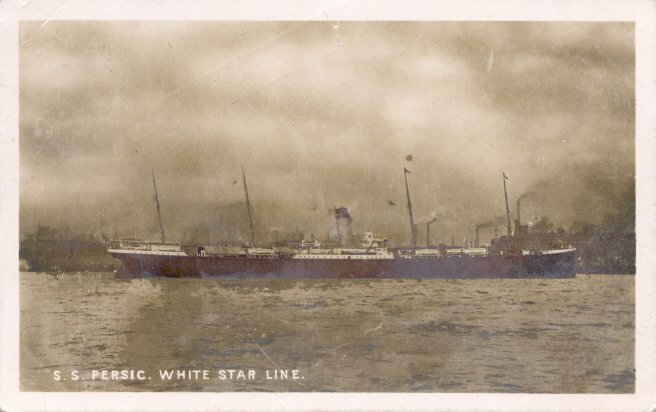 She carried 500 British troops to Cape Town from Liverpool; wounded and ill Australian soldiers from Cape Town to Sydney; and horses from Australia to South Africa on the return voyage. Second, her rudder stock broke at Cape Town and Persic had to wait there for a replacement to arrive from Belfast. She was again refitted in 1926, but during that refitting it was determined that she suffered from significant engine wear. Because of her age, the necessary engine repairs were economically unfeasible, so she made her last voyage to Australia in September of that year. 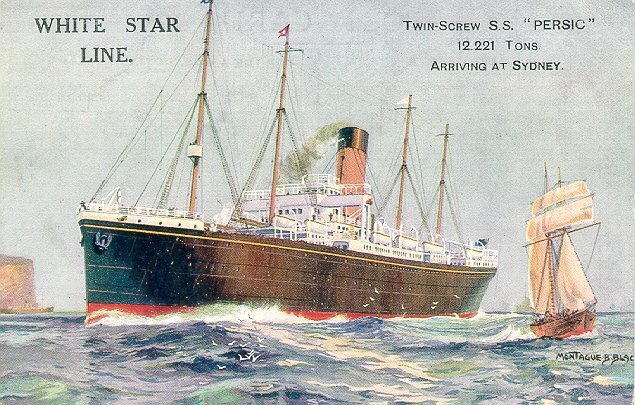 Upon her return she was laid up and, in July 1927, towed to the Netherlands for scrapping. Sources: The New York Times, 12 and 14 September 1918; Anderson's White Star; Eaton and Haas' Falling Star; Anderson's White Star. Thanks to Mike Ingham for his contribution to this page.